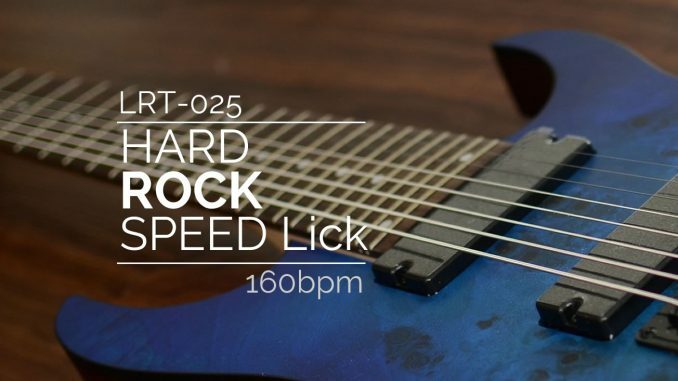 Crank up the speed with this classic hard rock speed lick in the style of many hard rock/metal guitarists. This one uses hammer-ons and pull-offs on sixteenth notes and triplets at a torrid 160bpm pace! 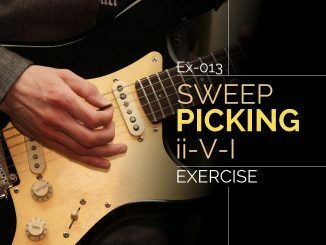 Don’t worry, there is a half-speed version to help you practice. 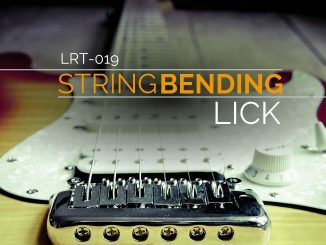 This lick is great for building your speed if you start slow and build yourself up. It was written and played by Milan Trickovic. This one will stretch your fingers (unless you decide to tap a few notes). I recommend trying the stretch. I also recommend grouping the notes into clusters are work on each first. For example, try the first six notes. You’ll notice some repeated patterns and variations that add interest. Just have fun with this one. 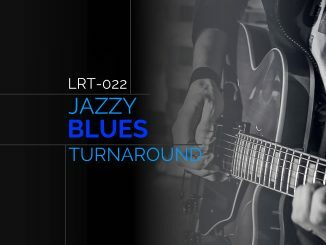 Audio at 160bpm, 80bpm, and a backing track at full speed are included below.